Do you have corrupted flash drive .Do you want to fix it in simple steps and with one click.This program fix the following flash processor type,Micron processor,Samsung processor,Toshiba processor,Hynix processor and Intel processor . 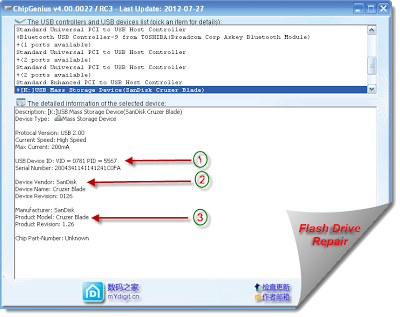 If you find your flash processor vendor one of the supported flash processor ,insert your flash drive into your computer .Open the program and it will appear in it . 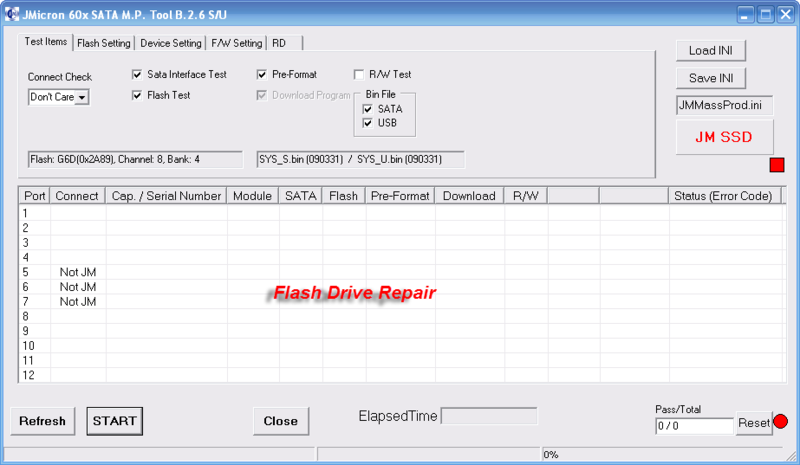 Press on Flash Setting ,then choose the type of your usb flash drive processor like the next picture . I have download it.. and do some flash setting, but it does not work..once I pushed START, there is no progress bar, or percent increasing or something like that..my flashdisk is TOSHIBA 8 GB, chip vendor Toshiba, I also have VID and PID too..but no help..any suggestion?